Bausch + Lomb wanted to remind patients to take their Emerade pen with them. An app that saves lives by simply reminding people to take their Emerade pen on their travels. Adrenaline injection pens for sufferers of anaphylactic shock are often prescribed as immediate rescue medicine in the event of this potentially life threatening allergic reaction. An important factor in the on-going management of sufferers is remembering to have their pens with them in case of an episode. 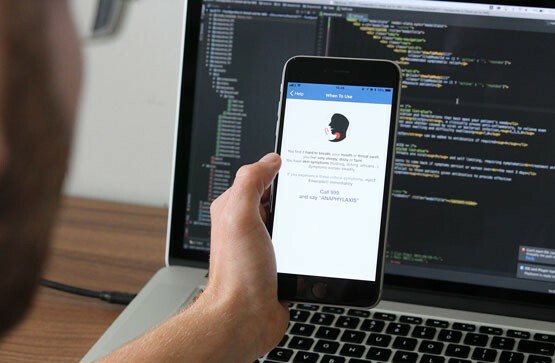 Developing for iOS & Android. 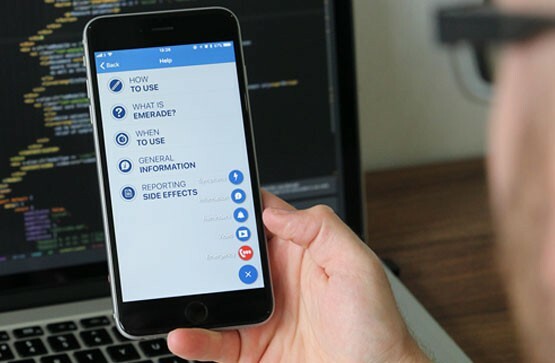 Eon Visual Media developed a mobile app for both iOS and Android platforms to be used as a reminder assistant for sufferers. Eon also produced an instructional ‘how to use’ video which features in the app and other support material. Eon are working closely with global healthcare company Bausch + Lomb to develop the next generation of connected healthcare products, this will include geo-fence location reminders as well as a tracking device for the pen itself.